As the saying goes “Practice makes perfect” and it applies to anything that we want to get better at; the same is true for emergency preparedness. Even though emergencies are unpredictable and unexpected, we should do our best to prepare as generally as possible. Then, when a real emergency happens, we can rely on our knowledge and training, and adjust according to the situation in front of us. The best way to practice for emergencies, is by running regular practice drills. 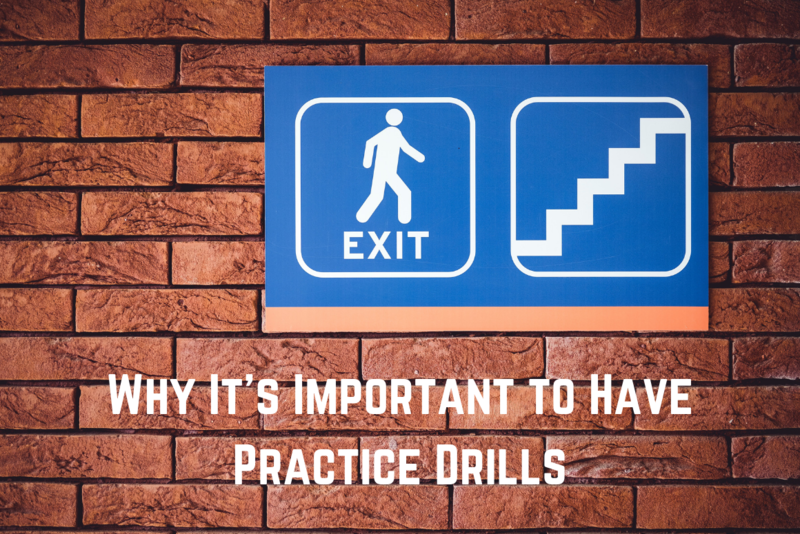 What is a practice drill? Drills are usually relatively limited in scope, and focus on specific procedures, so they’re a great opportunity to practice and perfect an evacuation route, or a communication plan. Typically, these involve a small number of people, whether in the home (family) or in an organization (office workers), and use real or simulated equipment. Practical Example: If you’re practicing your office evacuation, and you have specific staff dedicated to collecting your emergency kits, they’ll practice using existing kits (you won’t use the items within them until a real emergency). What kind of drills are there? There are nationwide events like The Great ShakeOut, which teaches everyone how to Drop, Cover, and Hold On in the event of an earthquake. This amazing organization educates its audience throughout the year, and holds its drill every October so that everyone can participate, no matter where they are. There are other drills that certain organizations will train their employees in, based on the function they perform overall. For example, first responders may prepare for transportation accidents; forest management teams may prepare for wildfire scenarios, including controlled burns, evacuations, and response; and special groups may prepare for civil disturbances like bomb threats or protests. Practical Example: When planning for home evacuations due to fire, professionals advise that you determine two ways out of every room (in case one is blocked). In a practice evacuation, you can test each of those ways out to ensure they get you to safety quickly and efficiently. Why are practice drills important? What are some of the emergency drills you’ve put together or participated in? Have you had to put them to use in a real emergency?